High Time to Awake reader Morag sent this observation regarding my commentary titled “The Leopard is Upon Us!” interpreting the beasts listed in Daniel chapter 7 as contemporary nations. I think that the The Lion, Bear, and Leopard represent England, Russia, and Central Asia. 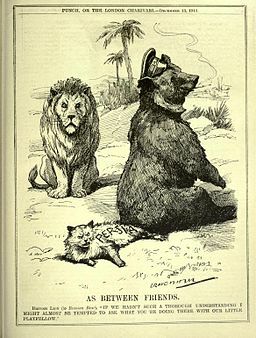 Morag writes: The Lion = England and Russia the Bear is a good interpretation. For example Dan 7:4 says “the lion was left standing on its two hind legs like a man”. 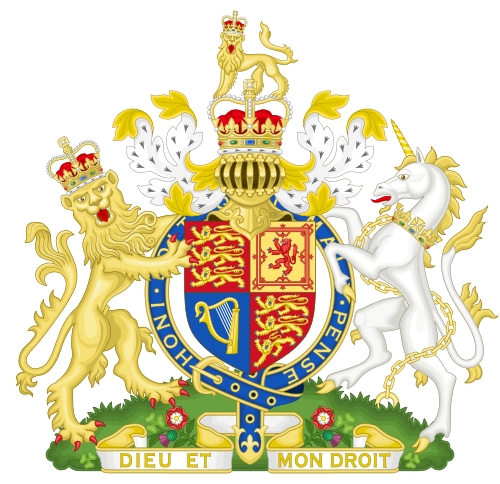 Have a look at ‘The English Royal Coat of Arms of the United Kingdom of Great Britain’ as used by QE II. United Russia is the current ruling centre-right party in Russia. It’s symbol naturally is a Bear. High Time to Awake writes: Thank you Morag for your excellent observations. I think that Daniel chapter 7 describes four kings that create the next world empire. These kings represent four quadrants of the old world. They are the European Union, a new Russian Union, a new Central Asian Union, and the Middle East. Read my verse by verse commentary on Daniel chapter 7 titled “The Leopard is Upon Us!“.